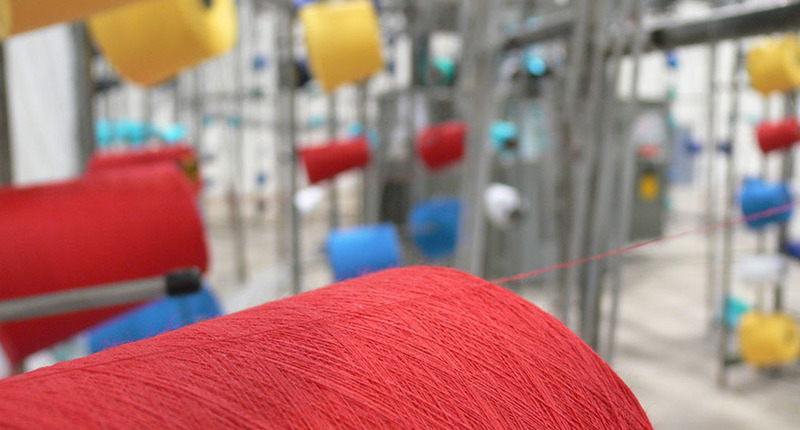 Sur Color Star, established since November 2007 and linked to Topitop, has become one of the biggest textile producers in Peru. We specialize in 100% Peruvian cotton knits in all their varieties (Jersey, pique, chamois, ribs, lists), widely accepted by discerning export markets such as the USA, Europe, Venezuela and Brazil for their texture and originality. 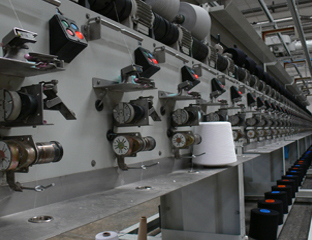 from spinning, knitting, dyeing and most the rigorous quality control, thus guaranteeing an excellent product. The successes and achievements of Sur Color Star are based on high customer satisfaction, research of new fibers and our team of well-trained and motivated employees, with a keen eye toward the future. In Sur Color Star, we offer an extensive range and variety of clothing fashions, driven by the the demands of our customers and the highest international quality standards, thus allowing us to remain at the forefront of the Peruvian textile industry. Type of fabric for collars, sleeves, coarse cloths, etc. The area responsible for drawing the thread. We use a modern Spinning plant spanning area of 60,000 m2, located in Lurin in the outskirts of the city of Lima, with fully automated processes. The area has projected monthly outputs of 600 tonnes of thread, combed in deniers of 20/1 to 30/1, in knitted fabric. using the renowned high-quality Peruvian cotton. These can be either finished or unfinished, in a range of widths and weights, based on the needs of our customers. We have a production capacity of 510,000 Kg per month. Sur Color Star’s laboratory prepares the colors requested by our customers with high-tech equipment: pipetting is carried out by high-precision robotic equipment and dyeing trials are performed using sophisticated infrared dye equipment, closely correlating with the actual dyeing process. Color verification is based on the DATACOLOR system, which guarantees the reproducibility of a wide range of colors, using colors and materials of the highest technical quality in accordance with international quality standards. 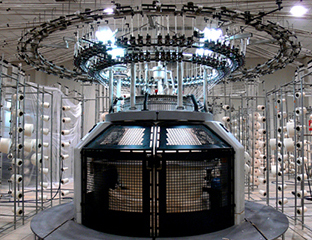 We use modern Loris Bellini and CETEX brand machinery, which enables optimum equalizing reproducibility results, with dyeing processes and automated chemical and dye distribution systems which are controlled and monitored by a centralized management system; this strengthens the quality supply and professional capacity for yarn production. Production Capacity: 100,000 Kg per month. Our latest generation Brazzoli brand machines, European-built and fully automated, equip us with a chemical and dye distribution system, dosed by Lawer equipment and governed by a first rate control system. Capacities range from 20 to 1200 kg. for each load. This allows low liquor dying (1/6. 1/7), giving faithful model reproduction, minimal water wastage and low energy consumption. We offer a variety of finishes in open weave or tubular fabrics, with leading machinery and according to the demands of our customers. Our fabrics are softened with foulard baths, with or without the use of resins in permissible levels of formaldehyde to improve feel variety. Fabrics are processed in modern racks which, coupled with felt or rubber compacting processes, guarantee perfect dimensional stability, with very low shrinkage and skew values. Our priority is to meet and surpass the quality standards expected by our customers. To this end, each and every one of our production processes entails prior, on processed and post control, thereby ensuring the final quality of our products. Stringent quality tests begin with the purchase of raw materials, in which cotton fiber quality is carefully inspected for torsion, pollution, irregularities, batches and weights, among others.